Animal lovers, parents and teachers are being urged to back a campaign to ensure schoolchildren learn the basics of caring for pets. Cats Protection, the UK's leading feline welfare charity, is leading calls for a minor change in the draft National Curriculum for England in a bid to prevent millions of pets being neglected in the future. The charity, a member of the Animal Welfare Education Alliance (AWEA), is urging supporters to contact their MP to ask for a simple amendment to the National Curriculum for England, which is currently out for consultation until 16th April. The call comes following a speech by Lord Guy Black of Brentwood in the House of Lords on 26 March in which he said a simple change could change the lives of millions of pets. He said: "Problems of neglect, cruelty and abandonment often happen because people don’t understand what a pet needs and how to care for it. One of the best ways, over time, to tackle this issue is therefore to ensure that children are taught properly about how to care for pets. Children are the pet owners of the future." Research by AWEA – a group of 22 animal welfare and other organisations including Cats Protection, Battersea Dogs and Cats Home, Blue Cross, RSPCA, PDSA and The Dogs Trust – shows that only 16 per cent of children are currently taught about caring for pets at school. That's despite a study showing that 10 million of the UK's 22 million pets are not having their most basic needs met by owners. The current draft curriculum limits reference to the most basic survival needs of animals - water, food and air – but Lord Black said this was not enough. Schoolchildren need to learn that there are five basic welfare needs as set out in the Animal Welfare Act 2006 – these are environment, diet, behaviour, companionship and prevention of pain, suffering and disease. He added that a simple change to what primary schoolchildren learn could have a dramatic impact on the lives of millions of cats, dogs and other pets over the coming years. "It does not need a new subject to be added to the curriculum to deal with this. All that is necessary is for the current reference to basic needs within primary science to be amended slightly to allow teachers the flexibility and scope to teach about all five welfare needs. Such a tiny change could have an impact of real significance not just to many defenceless animals in the future, but to the way children grow and develop. Teaching children from an early age about the importance of caring for pets will help them integrate effectively with others and understand the importance of responsibility – something which would have profound benefits for society a whole." 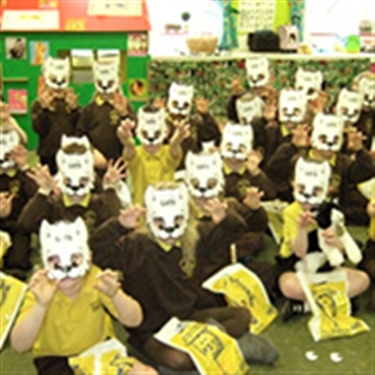 Jacqui Cuff, Cats Protection's Advocacy Manager, said that with the consultation on the National Curriculum closing on 16 April, urgent action was needed. She said: "Teaching children to care for and respect animals from an early age is essential - it can bring about positive change for animals and society as a whole. Together with the other members of the AWEA Cats Protection will be submitting a formal response to the Department for Education’s (DFE) consultation on the draft curriculum. We are also seeking a meeting with the Minister for Schools. "We are not asking for costly reviews or for expensive studies. We are asking for a simple tweak in the wording which would enable teachers to better prepare children for their lives ahead as responsible members of society." Anyone who wishes to support the campaign before the consultation closes on 16 April 2013 can do so by inserting their name, address and any personal message in a pre-written letter to their MP by visiting http://tinyurl.com/co99qqt. They can also respond direct to the DFE consultation team by e-mailing: NationalCurriculum.CONSULTATION@education.gsi.gov.uk before 16 April 2013. 1. Cats Protection helps over 235,000 unwanted cats each year through a national network of 260 volunteer-run branches and 30 adoption centres. 2. Cats Protection’s registered charity number is 203644 (England and Wales) and SC037711 (Scotland). The charity’s vision is a world where every cat is treated with kindness and an understanding of its needs.